The Granite Gurus: Master Bath Renovation Part 2: The After! 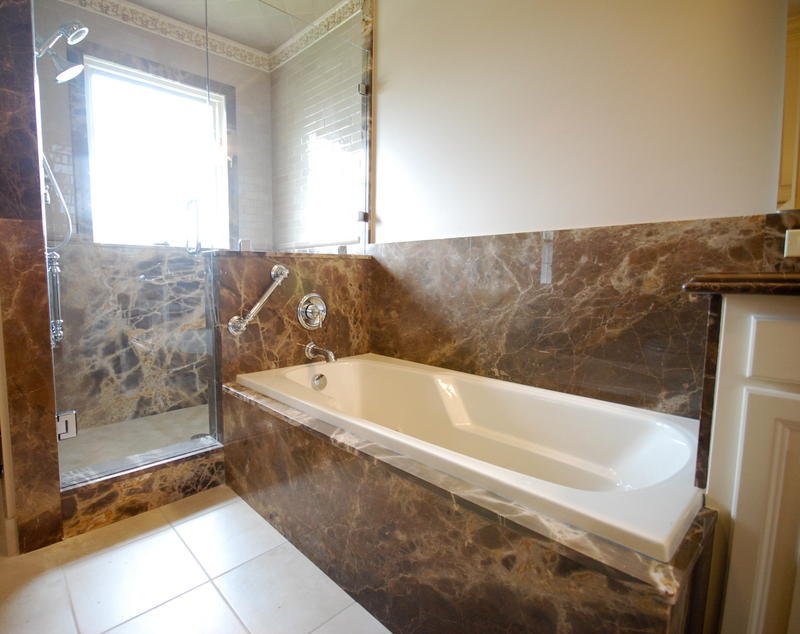 Master Bath Renovation Part 2: The After! Yesterday I showed the Before pictures of the very outdated bath that was just renovated and we did the marble. Today it's time for the fun part, the After photos! HUGE change right? 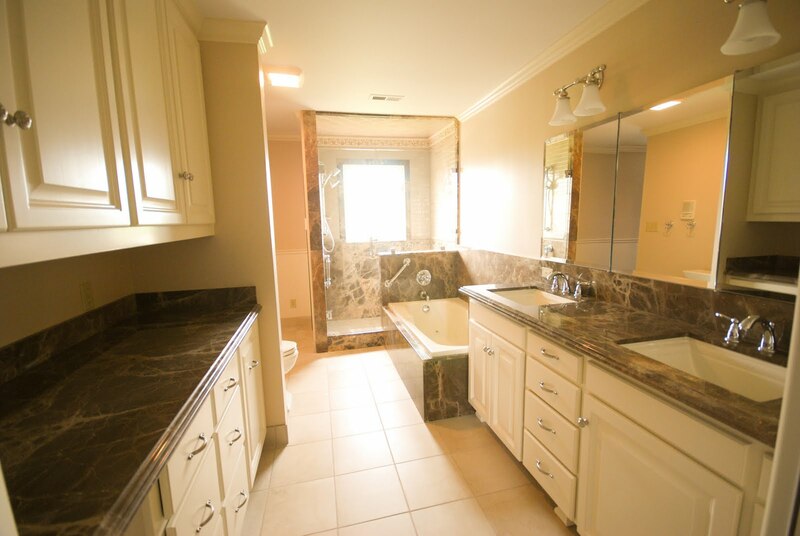 I think this bathroom is so gorgeous! As you can see they did move some things around (shower is now where the tub was, etc), but for the most part it's the same bathroom....everything is just now new! 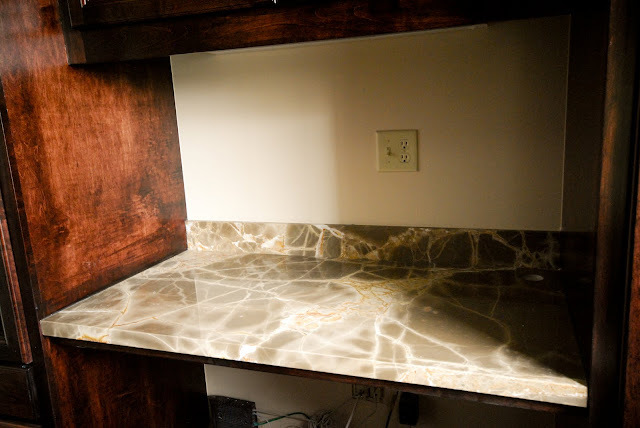 The slab they used everywhere is a gorgeous marble from Walker Zanger called Ambrato. 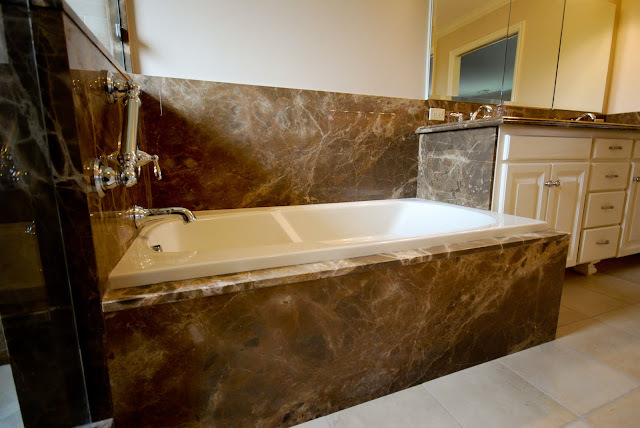 The Ambrato slabs were used on the shower walls, the shower bench, all the trim around the shower entrance and the window, on the tub deck, tub skirt, tub backsplash and on the countertops. 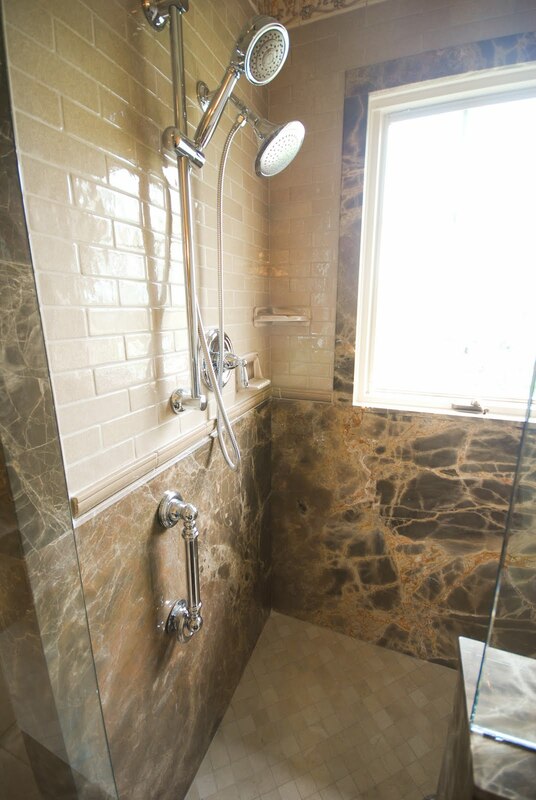 The Shower Bench was built with a Mitered skirt that goes to the ground so that it looks monolithic. I love shower benches like this. 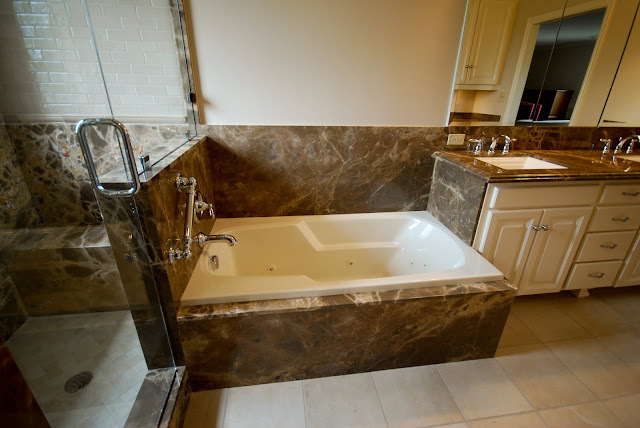 Notice how the backsplash piece from the tub deck goes straight through to the vanity backsplash and also into the shower, so it looks like it's one piece. This is a very clean look. 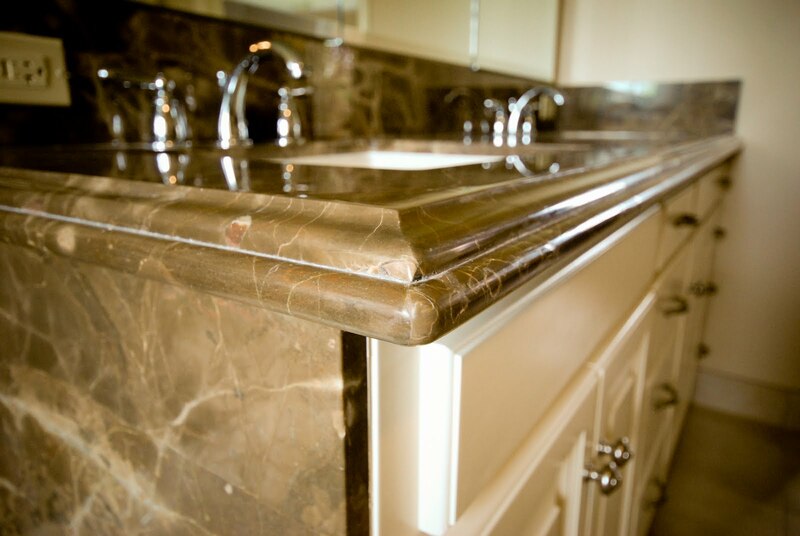 This countertop is across from the vanity. 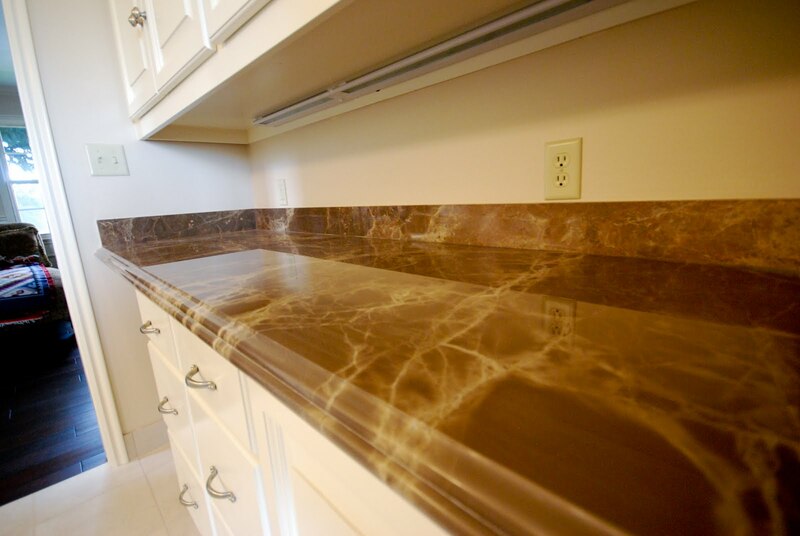 It used to be a closet and they opened it up, so now they have more countertop space and it really makes the room appear wider. 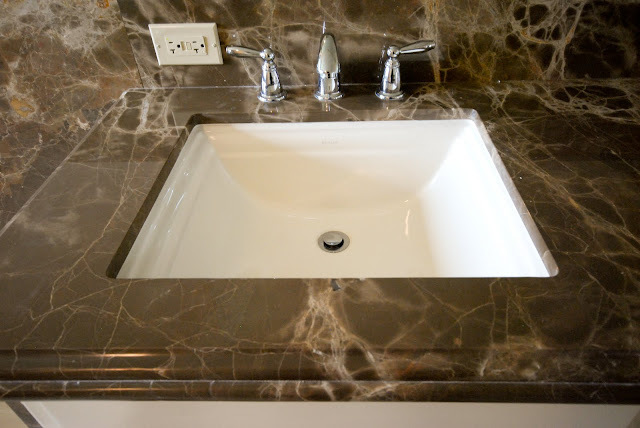 The edge detail on this top and the vanity is a 1 1/2" Ogee Step Full Bullnose. 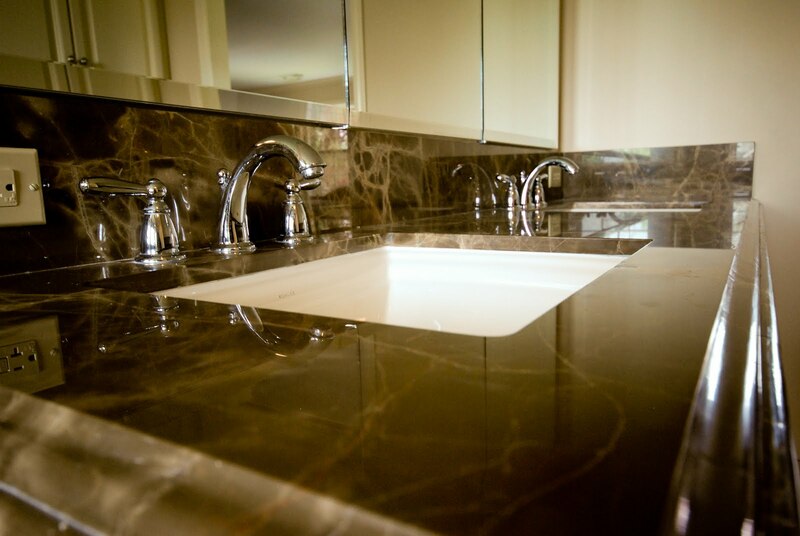 Beautiful square sinks give the vanity a modern feel. The Master closet is adjoining to the bath, so the tile carries through. We did a small countertop in here as well. I wish I had a closet like this! 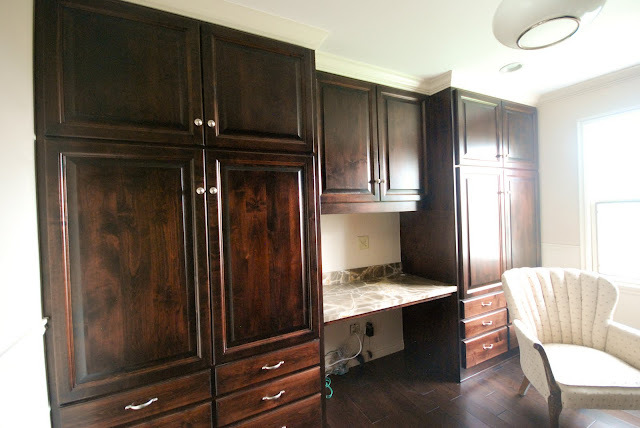 The designer was Jenny Slingerland of Black Ink Interiors. The contractor on the job was Van Buren Inc. 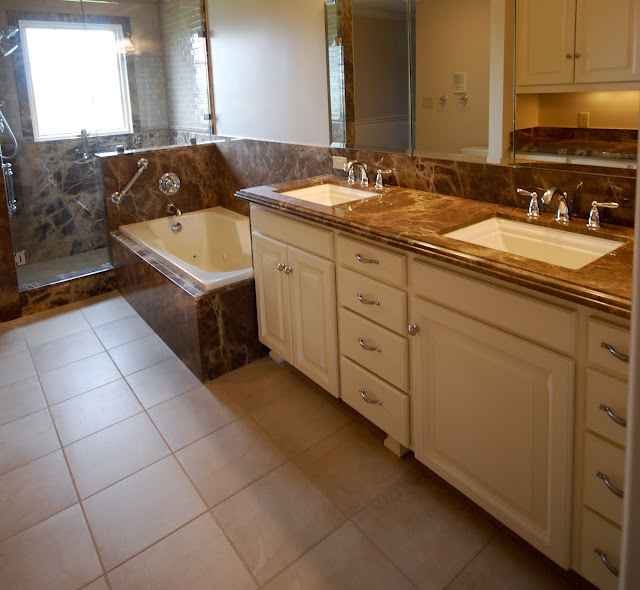 They did such a great job on the renovation. So what do you think? Could you even tell it was the same bathroom?!? thank you for sharing, I love it! 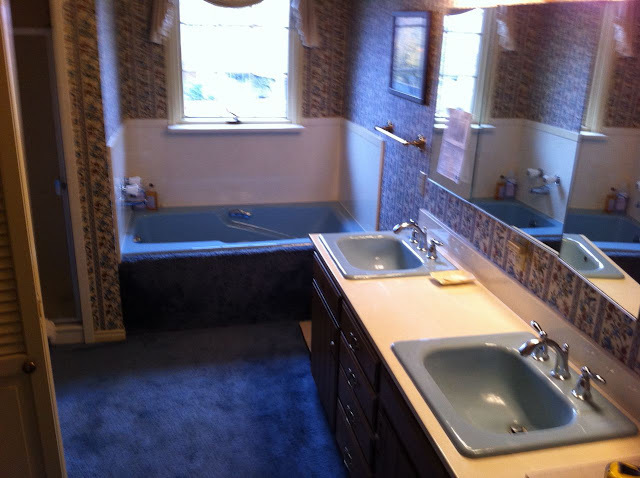 Wow, can't believe it's the same bath. excellent job! as an owner of a kitchen and bath business I like the stream lining of the stone across the whole bathroom. 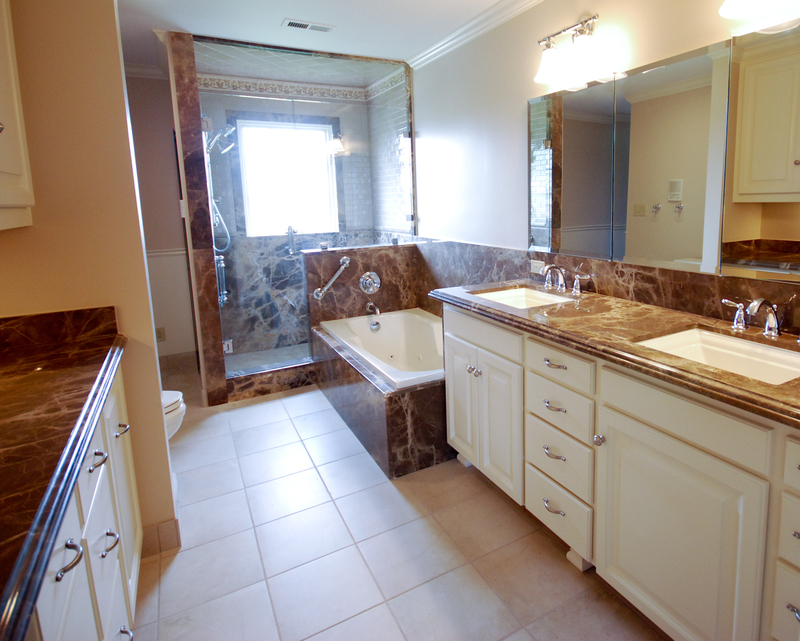 Its a great investment in your home to renovate a kitchen or bath! Wow, what a change!! 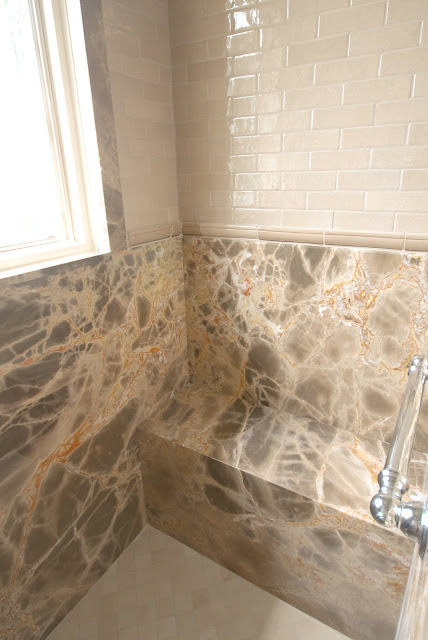 Beautiful job.